The post GamepadBlock: Arcade and Original Game Controller USB Interface appeared first on RetroPie. Many of you are building personal arcade and gaming machines. Part of those projects is to decide which type of controls should be used. Also how to connect those controls to the computer is another question. If you want to connect original controllers in an easy way things get even harder. So far there is the ControlBlock, which is an add-on board only for the Raspberry Pi . 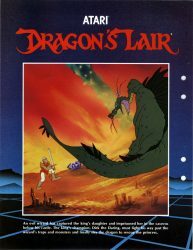 It provides ways for easily connecting arcade and original controllers to the Raspberry Pi (besides a power switch on-off functionality). However, a lot of people also asked for a game controller hardware interface like the ControlBlock that could be used on additional platforms other than the Raspberry Pi. Windows, Mac, and, of course, other Linux-based systems – including the huge variety of System-on-Chip (SoC) platforms like Odroid and Co should be supported. Also, installing drivers that some people stumbled over in the past, should become easier. Today petrockblock released the GamepadBlock: It is a Game Controller USB Interface for arcade and original game controllers. You can find more details and Getting Started information about the GamepadBlock here. We hope you enjoy their newest gadget! Just a quick update to thank everyone who has contacted us with offers of advice and support after we posted https://retropie.org.uk/2017/02/legal-help-needed/. We are currently replying to mails and reviewing all options. Thanks again! 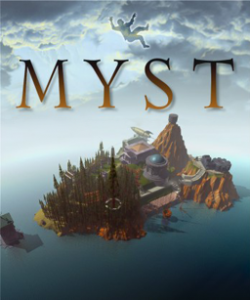 The post Thanks for the support appeared first on RetroPie. The post Legal help needed appeared first on RetroPie. 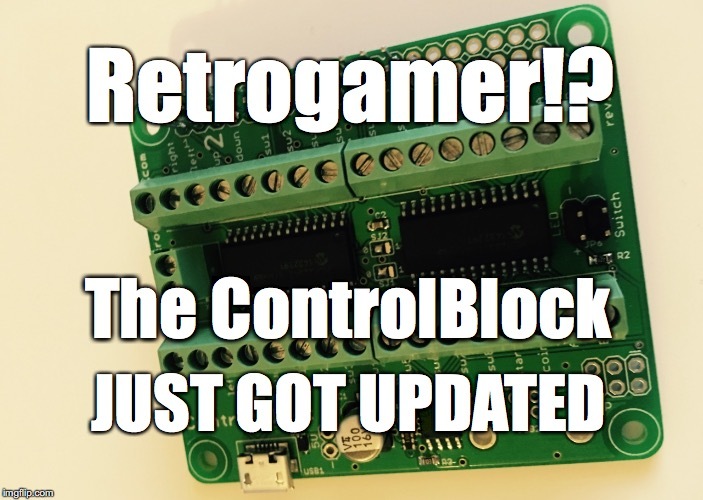 The post New Functions for the ControlBlock appeared first on RetroPie. The driver of the ControlBlock got updated! What does this mean for you? More functionalities! 4-player support: Stack two ControlBlocks on top of each other for 4-player installation. Genesis/Megadrive controller support: Use Genesis/Megadrive (TM) controller with the ControlBlock for really nostalgic Sega gaming sessions. Reset button for SNES gamepad mode: Building your arcade machine within an old SNES case? Connect the reset button and use it as another input signal. 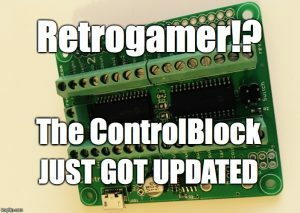 Besides these driver updates there are now also driver modules for the ControlBlock and the PowerBlock as well in The RetroPie Setup. 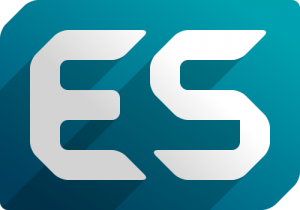 Therefore, it has become even easier for you to install the drivers for your RetroPie project. You find the drivers in the RetroPie-Setup menu at “Manage packages” ⇒ “Manage driver packages”. From there, you can easily install or remove the drivers. 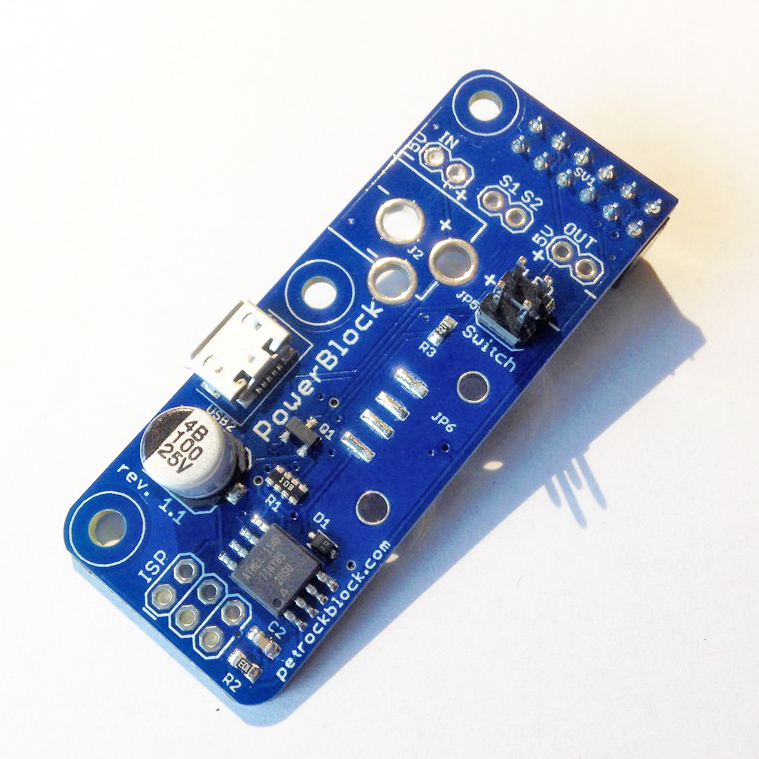 You can find further details about the new features of the ControlBlock here. If you want to support the project donations are always appreciated and can be made on our Donation Page. 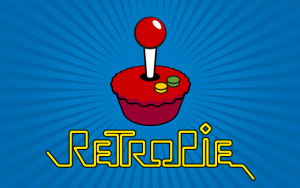 If 1 in 5 people who downloaded RetroPie donated £1 it would be enough to have someone working on the project full time! 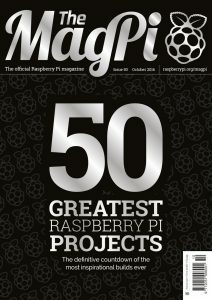 To celebrate they feature the top 50 Raspberry Pi projects as voted for by readers and their panel of judges. We are very pleased to have been included in their top software projects as judged by Eben Upton. Thanks! 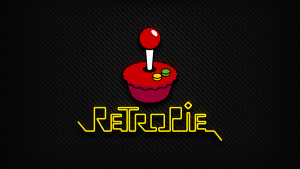 The post RetroPie 3.8.1 is released appeared first on RetroPie. The post Power Switch for your Arcade Machine? The PowerBlock got an Upgrade appeared first on RetroPie. The PowerBlock can be connected to arbitrary toggle buttons and also offers an LED status output, which gives you maximum flexibility for your gaming machine. 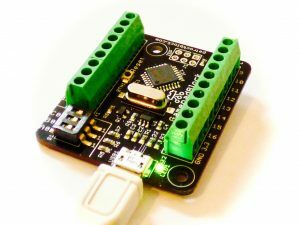 The recent hardware revision 1.1 adds hardware support for mounting it to the Raspberry Pi Zero. This makes the PowerBlock compatible to the Raspberry Pi models A, B, and Zero. Revision 1.1 also brings another enhancement: If you do not want or cannot mount the PowerBlock directly to the GPIO pins of the Raspberry Pi, revision 1.1 offers pin outs for all needed signals so that you can use an arbitrary wiring for the connection between the Raspberry and the PowerBlock. You can find more details about the PowerBlock here. There is also a RetroPie support forum, which you can find here. The post RetroPie 3.8 is released appeared first on RetroPie. 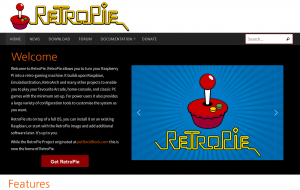 The post RetroPie 3.7 is released appeared first on RetroPie. The post New website appeared first on RetroPie. The post RetroPie 3.6 is released appeared first on RetroPie. The post RetroPie 3.5 is released appeared first on RetroPie.